The Knicks' Iman Shumpert showed unprecedented support for his endorsement deal with Adidas, showing up with this to last Friday's game with Milwaukee. 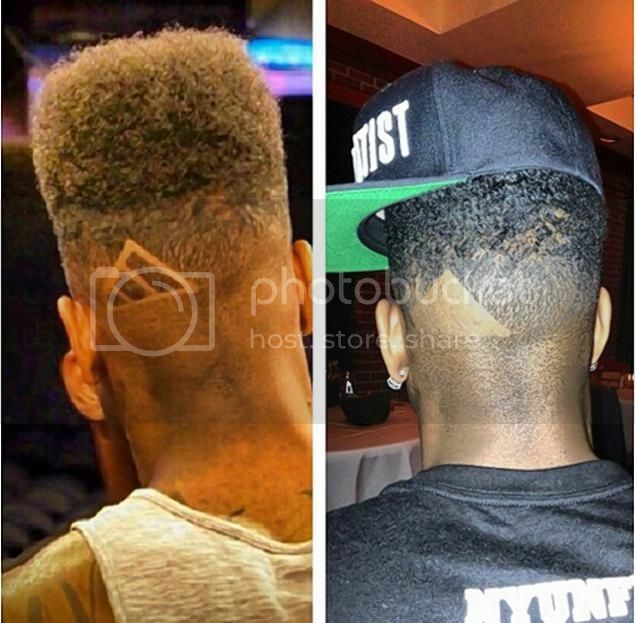 Alas, after the NBA caught wind of the haircut, it was reduced to a sad empty triangle before Sunday's nationally televised match-up with OKC. 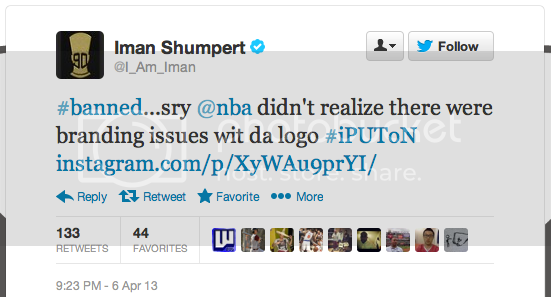 Shumpert also apologized on Twitter with this before and after shot. Adidas has been the league's official uniform and apparel supplier since 2006.